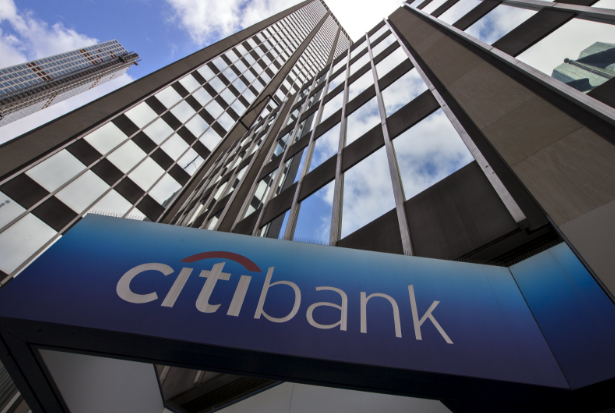 Citibank is a financial services company whose parent company is Citigroup. At the height of its success there were over 16,000 offices and 243,000 employees in over 140 countries. In 2014 Citigroup reported revenues of US 76 billion and net income of US 7.3 billion. If you have a problem with your Citibank account you can go to their website or call one of three numbers. Customer service number is 1-888-248-4226, while you can call technical support at 210-677-3775 or credit card support 1-800-950-5114. The CEO of Citibank is Barbara Desoe and the CEO of Citigroup is Michael Corbat. If you want to mail them a letter the corporate headquarters address is 3999 Park Avenue, Manhattan, New York 10043. All of this information can be found on their contact page. Founded ini 1812 as City Bank of New York the corporate slogan is “citi never sleeps” and they were one of the first to bring 24/7 banking to customers with ATM in 1977. In the 2008 financial recession Citibank was one of four banks to receive stimulus rescue by the United States government. They have social presence with a Twitter address as well as their own downloadable “app”. I have been having problems with the on-line and app applications and services since day one. Lastly because of my inability to login into the app or portal I went to a branch and they help me to register a bug and ask me to wait for x number of days / hours until the issue is resolved. I don't have access to the account, I can't get a detailed statement of the card transactions, I can't provide any info to my accountant, I can't get anyone in Citi customer support to send me the digital documents ASAP. Today they ask me to wait for the card since the CVS # is 000 and they claim that this is the reason for my inability to do anything. Still the clock is ticking and my due day passed and you guys have not been able to provide me with the info I need in a timely fashion. It will be immoral for you guys to charge me for late fees because of your inability to have a running system that works. I need this issue to be resolved ASAP and not in another X number of days/hours. Over 6 months ago, I was advised by Sidney, branch employee of 42nd Street and 3rd Ave location, to open one single checking account in order to receive $600 promotion offer. I only needed to maintain $50,000 for six months. I still have not received the promo. I tried called the rep and visited that branch. But she got transferred to a different location. I have been trying to reach her for a month at a different location but cannot get a hold of her. Another employee submitted a claim but it has been over 3 weeks that it has not been resolved. Everyone is giving me a run around. Nobody knows how to fix it. And it seems that only that rep can help. But she is never reachable. Not even the branch manager can help. Not even the customer service rep over the phone can help. I need answers. I had a balance of $4.00 and some odd cents on my card. I have auto payment set up. Citi bank withdrew $25.00 for my February payment. I didn't own 25.00 but customer service told me when you have auto pay, it's an automatic deduction of 25.00 if you have anything outstanding on your statement. Ok, I don't have an issue with that BUT... I do have an issue with them NOT crediting me back the $20.00 and some odd cents that I didn't owe. So you are keeping my 20.00 bucks just because you can??? No, this is outrages and totally wrong. I was due a settlement refund and still haven’t received it. They sent me mail to my personal address stating that if I did not cash the check within a certain time frame it would be cancelled. Problem is I never received the check. I called and the Citi Card Representative cancelled the check due to me not receiving it and said it would be sent within 30-40 days. He wouldn’t credit my account and it’s 60 days past initial phone call and I still haven’t received the check. I get charged when I’m late for a payment but can’t get what’s lawfully owed to me. I stopped at a citibank oat 3456 Jerome ave in the Bronx on 3/28 at 4;05 pm to ask for a counter check. There were no signs about where to wait or if you needed to sign in. I went to the nearest cubicle on the right and patiently waited for the person to finish and she suddenly looked up angrily and told me to be seated. That bad attitude leaves an imprint and bad taste in ones mouth and I am sorry but Citibank needs to get rid of people like this one. The woman was older and had shoulder length black hair and a medium to dark complexion. I'm sure with the date and time I provided you can determine who the rude nasty employee was who was sitting in the first cubicle on the right side closest to the entrance. I have been trying to open a checking and savings account for over a month and a half. This has been a frustrating experience to say the least, and should be an embarrassment to Citibank. I saw the advertisement for 2.36% interest for a Savings account, and since I had a lot of money in savings, and it was only earning 0.75%, I thought this would be for me. I called the number and talked to a representative, and gave her all of my and my wife's information-"drivers license, social security numbers, etc". My wife and I both had to verify information with the representative, and this took about 45 minutes for both of us. Then I received an email stating they needed all of this information in person. So I compiled the paperwork (added copies of bills, actual social security cards, etc. ), and the pages to fax totaled 15. All of this information was faxed, including following the instructions to put the file number issued to me and both of our names on all paperwork. After a week, I heard nothing, and called Citibank. They claimed they had not received the information and asked for me to re-fax it. I did this and called the next day, and was told they still hadn't received it. I waited another week, and called, only to be told they still had not received the paperwork, and they were behind due to the huge response. I waited another week, and was told again they had not received my paperwork. Now I spent over $25 to fax this information to their new accounts number, and verified each time I was sending the fax to the right number. So I talked to a supervisor, and was told there was nothing he could do, he did not have our paperwork. The next day I got a set of " Welcome" paperwork from Citibank, which now showed account numbers for the checking and savings accounts. I waited 5 more work days, and called again. I went straight to another supervisor, and explained my situation, and he was able to determine that I was initially given a "bad" file number, and all of my information was sent to the wrong department. After further discussion, the supervisor told me he now had a "good" new file number, but I would have to re-fax (for a third time), all of my information with the correct file number written on it. We argued, and the supervisor went to his supervisor, and a determination was made that they could merge the bad and good file number, and use the information I had already faxed twice. This was on a Friday. 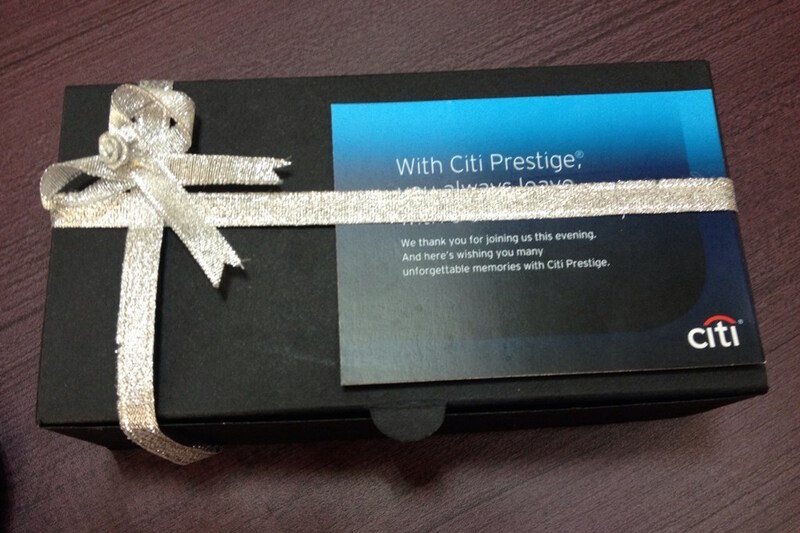 Saturday, I received another 2 welcome packs from Citibank. Now the thing is, I now have 3 welcome packs, and they want me to transfer my money, but they contain savings and checking account numbers, and all three have different numbers. I have 3 different checking and savings account numbers! I call Citibank again on Monday, and talk directly to a supervisor, and again explain the horrible service from Citibank. They now tell me I should use the checking and savings account numbers from the first packet mailed to me, even though I did not have a good file number at the time, or that they could even find my information. I told the supervisor to close out my account, I was through. I do not believe I could get any kind of reliable service from Citibank. My credit account, I Had a BestBuy credit card in 2012. in 2013 I had some financial problems. The account was never paid and forgotten about. I admit to having the account. However I do not understand how a card with a $500 limit got upwards of $1000 dollars. In the past month I have contacted the Recovery department on multiple occasions trying to settle this account. They keep telling me the account is too old and cannot accept a payment on the account. All I am asking, Is a way to settle this account. I was in the hospital for nine days five of them in the CCU. When I returned home I realized that my bill hadn't been paid so I sent it right out. My Netflix bill became due and they were denied payment because for the first time I hadn't paid my bill and the best part I wasn't even a month overdue on top of the fact I also had another$1600 credit limit!!! I was told by the person on the phone if the payment is not received within three days of the due date you can't use your card I have never ever heard of such a thing.I have been a member since 2006 or 2008 one or the other have a credit rating of 765 but because I missed a payment because I was in the hospital I can't watch Netflix I have never been so angry in all my life so if this is the way you treat your customers who do pay on time I do not want anything to do with this company again I will pay off my bill and take my business else where!!!!!!!!!!!!!!!!!!!!!!!!!!!!! I made a charge on 9/21 and was not told of additional charges. I tried to cancel but was told no by the company. I contacted Citi for a chargeback and they finally granted me one. However, the company I made the charge to put through another charge the very next day from a different office and with a different descriptor. I requested a refund from Citi as I was unaware of this charge and they denied me saying the company told them I was aware of the charges and terms. They have told me I would get a permanent credit only to reverse it. I have been a good customer for over 16 years. They claim to have purchase protection but not true. I went on a cruise and now have money on hold. The cruise line has told me that it is up to my bank to drop them off and all I get is the run around from Citi Bank.Now I can't use my card and any billing atatched will be denied. This is bad business. The burden is on me. I called and was told that a supervisor would call me back and then found out that the supervisor could not call me back so I would have waited all day for the call. Jan. 4th 2019 wrote out an application with "Beth" on the phone which went well over an hour. She siad I prequalified for the simplicity credit card up to $5,800.00. Congratulated me and proceeded to do a bank transfer of my Discover card with her. Beth took all my Discover card info on this date and said if I had a second balance transfer, to wait for the card to arrive in 5 to 7 days and put my second BT on it. GREAT!. After nearly 90mins on the phone we hung up. Jan. 7th, get a mail notice staying "we could not verify the accuracy of the credit information on your application." WHAT? I called Citi this evening to speak to Darrie?. (11- 11:15 pm EST) She claims they just had to verify my personal information ( well, why didn't the letter state that clearly?) not so much my credit card history. To me, this was a play on words from the letter sent to what I was hearing from Darrie. Your letter felt like a red flag against my good credit and someone was questioning it. I suggest you say what you mean in your letters and correct them. I have good credit. Darrie proceeded to tell I "NOW can enjoy the benefits of the card" which was untrue. In five to seven days, I could THEN enjoy the benefits. NOT NOW..SO who had my Discover card information? Citi doesn't, BETH does. Darrie is saying only until I get my Citi card can I put the two transfers on it.. Again , I asked who has my Discover card info from the 4th? It went unanswered. I will admit, I was not happy to hear BETH TOOK my information and Darrie doesn't have it on file. When I began asking about the Discover info for a third time, Darrie hung up on me ! WHAT? . I am disgusted NJ doesn't have a Citi bank where I could face these agents. How unprofessional! So who is going to tell me whom has my Discover card information which I thought was being transferred to CITI since I was approved on January 4th and TOLD SO!? You guys are all about security. Well, I feel my Discover card information was breached. What do you know about it? $400.00 promotion should have been posted on 10/06/2018. Never done. 3 accounts were opened with the $600.00 promotion - great delay in posting after too many calls and no return calls. Our understanding was that if we kept the minimum balances in each account we would all individually receive the promotions. 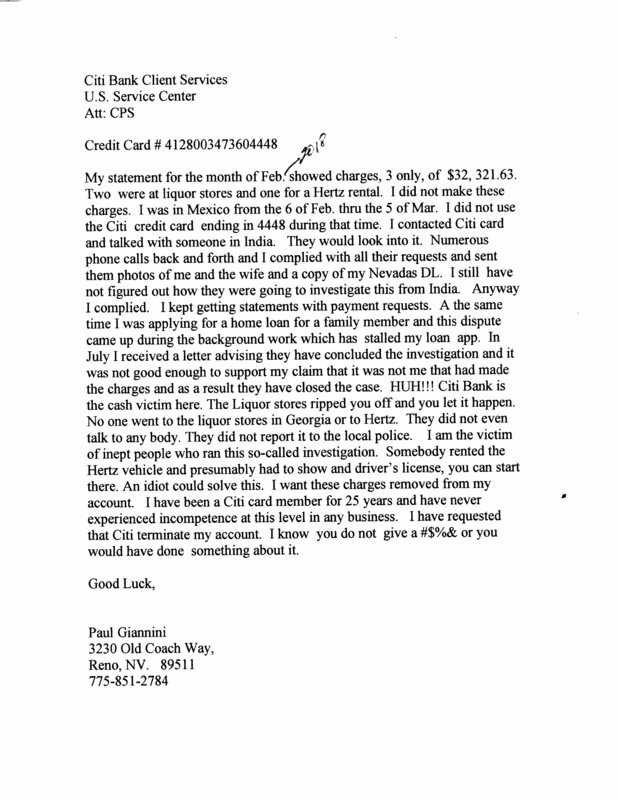 Carol Kosinsky did not receive her $400.00 promotion because she was charged 415.00 by Ctibank to receive a $15,000.00 wire sent by Chase without charge to the Citibank Account #6792983320. Please reverse the $15.00 Citibank wire charge that was never explained to us at the time of our several deposits. This charge prevents the $400.00 promotion payment. Even deduct the $15.00 from the $400.00. I think that would be fair. SEE THE ATTACHED DOCS. Fraudulent use of my credit card number and then reporting this to a credit company that then gave me a poor rating which then resulted in knocking me out of the housing market. I did not make the charges as shown on the statement and have complied with all of Citi Banks request and I am still be screwed over by them. When their website isn't working, which is more than half the time, there isn't anywhere on the site to get assistance without having to wait for someone to respond. Their FAQ's are totally useless. Tried to set up alerts; went through the process of getting a code and entering it; it "claimed" there was success but still couldn't get my phone number to highlight so I could get the alert. So lame and useless. They have no means of sending email "complaints" through their website as if they are NOT interested in being helpful to customers! Can't wait until I get my debt paid off with them and will NEVER suggest anyone ever use them as a creditor! They increased my interest to beyond what my credit score would support and then would do NOTHING to correct their bloodthirsty overcharging! I put a check in good faith,only I did not know it was a counterfeit check.I did not take up mind reading .And since when did I have to call you when you have a fraud division and you never contacted me.You have my cell phone number and it would have been nice if you would have either texted me or called me.you have always contacted me when I took money out,but when I put a check in you failed at your job.You need to close your doors and don't reopen until you learn how to operate.You had a lot of nerve closing my account cause of it.I feel like suing you to the fullest extent of the law. I used mobile deposit to cash my payroll check a day after I received it. My account was overdrawn at the time that I got paid. When I deposited the check, a small portion of it was made available to the account (enough to cover the overdrawn balance.) I tried contacting their banking services so that we could verify that the check had cleared but they refused to make those services available to me. I asked to speak to an actual supervisor but instead I was given peer to peer run around. The last individual I spoke with was named Judy. I asked to speak with her superior and was told that there is no one above her that I could speak with. I told Judy that I know she didn't own Citibank and asked her again if I could speak with her true supervisor. She told me no, so I then asked for her ethics phone number and she told me that she couldn't give me any numbers to speak with anyone and that I would have to call her department to speak with someone else. I am trying to pay my rent and this shoddy service is possibly going to have my family evicted. I just want access to the money that I earned. My husband called Citibank to ask why we had not received our new renewal credit cards. Our present cards were going to expire in December. The person he spoke to obviously did not understand the question? We then received an email saying our account had been closed because of "a missing or lost credit card". At no point in the conversation did my husband say the words "lost or stolen. This left us with NO credit card. I have several refunds that are in process. What will happen to them? Don't you train your staff? Or don't you care about your customers? My fraud complaint against a person who hacked my computer and used several of my credit cards to purchase thousands of dollars digital goods is ongoing. A language conflict resulted in a incorrect conclusion. I corrected the error and submitted a police report to rectify the misunderstanding. I'm still paying penalty fines for over limits and extremely high interest rates and frauded over limit interest. $6,800 ON THIS CARD IS FRAUD. I've been banking at Citi Bank in San Bruno Ca. for over 15 years and the last few years have been the worse service I've ever received. One individual has been very rude and demeaning to myself and my wife. We are Gold card members for many years and should not be treated in this fashion. The employees name is Jasmina Krsulich. Unfortunately there is no one at this branch that knows how to do the banking we require, such as loans. In one instance when we got rid of San Bruno Cable for our Internet service we had to go to the bank to have Jasmina cancel the direct payment out and instead of saying she didn't know how to do it she told me the computers were down, so I went to the Citi Bank in Millbrae Ca. and the manager helped me right away and we took care of it in a few minutes. The sight was not down. Customer service is very important and customer should be treated better than this. First concern. I received a call from Citi Bank To Call Citi Bank relate to my account Concern. I received a call date from Citi Bank: CY2018-11-04, Time 11:00am (EST) related a concern on my account. received no was (816-420-1002. Note: I was transferred 7 times. Note: I recorded this message. 1st I called this no, to obtain information of the received call as I allow for this persons to listed of this message. I was another representative. ( Note) I notice each time of the transferred call, it appears the persons was from another Country. After the 7 transfer, This call was drop. For the past few years, I worked with array of Citi bank Support teams , as this process has been terrible. I convey, I can access my Discover bank, First Citizen, PSNC on line account & other account; however, I cannot create or access a (Potential Account). I respect the Tec;s however, each time I work with the support team, I go though the same based process. Note: I do not have a problem with Laptop or other Computers. To access other accounts. Therefore: I request for Citi Operation to mail my monthly bill. Once I received this Bill, I would attempt to work with the support Team for about 15 to 30 minutes. After about 35 minutes, I Respectable Indicted, Thanks for the opportunity as I would process the Bill Electronically payment from my online Banking account payment with a confirmation. I want to report an incident where an agent verifying back with me my specific $2,000 wire instruction into two wirings of $2025 and $10 thereby charging me an additional $35($10 additional on the $25 fee for the $2,000 and $25 fee for the later wiring of $10) on top of my set up of $2,000 + $25 fee; the receiving end obtained $1,990 and later a $10. If the agent excess charge cannot be channeled to the agents own account then I might not have a problem, but if the agent can channel the excess fund and repeat the process to multiple customers through out the month after month, then I have a problem with that; the later $10 wire transfer was not recorded in the wire history thereby leaving no paper trail nor the $25 fee for that $10 was recorded in my statement thereby leaving no paper trail. So many descriptive words come to my mind of the action happened that anyone can reflect with what I am thinking. I have tried countless times to cancel my insurance policy (life protection) policy number P0006782. I sat on the phone over a month ago being pushed from one person to another for approx 1 hour. Until finally got some one who said it was cancelled. I have received my statement and it is still showing I am paying $118.98 . I want the money taken back of my credit card account for the last few months as it was meant to be cancelled a long time ago. It is near impossible to get through to people as no body wants to know about it. If this is not sorted very quickly I will be pushed to cancel my credit card with citi bank. You keep taking the money even after we have had the royal commission into banking procedures. not a happy customer. PLEASE FIX THE PROBLEM CANCEL MY INSURANCE POLICY. I opened an account with citi bank couple months ago. The closed my account without any explanation. Recently they even closed my credit card account which I have opened couple years ago without any reason. I keep asking myself what I am doing wrong. I called customer service, no one can explain to me. The only thing they said is "bank decision". Regarding Camino Real Branch: I have been a customer since 1995. We had wonderful service with more than one great bank manager. However, there are a few people, including the new manager and a woman called Diane, who seem to think that they should go out of their way not to provide service, to keep customers waiting for as long as possible and generally to be rude and uncooperative. My husband has suggested moving our accounts to another bank. Citibank sent me a letter dated 8/29/2018 received on 9/4/2018 advising that during a recent review Citibank has chosen to close my CD account on 9/8/2018. I had previously received a letter dated 7/26/2018 advising me that I would not be able to access my account if Ciitibank did not hear back from me. The day of receipt of the letter dated 7/26/2018, I took the letter to my local Citibank branch. Earlier this year, I had changed the title of my CD to my trust’s name. The personal banker advised me that a page was missing. The banker resent the document back to Corporate, and I was advised that the problem was resolved. Immediately after receiving the latest letter dated 08/29/18, I attempted to resolved the matter with the customer service number listed on the bottom of the letter (888-275-2484) only to be redirected several times, eventually ending up connected to the Mortgage Department. No one was able to help me. I also found that my on-line accesss using my debit card was deactivated even though the letter did not list my checking account. This concerned me since my social security is deposited to this account. I revisited my branch. The personal banker attempted to contact Corporate to resolve the problem. After almost three hours of unanswered emails and phone calls that were non responsive or not answered, the personal banker was not able to resolve the problem and suggested that I come back the next morning. I was upset since I am in the process of home repairs and needed to pay my contractor and did not want my check to bounce. The personal banker issued certified checks from my account. I spent the next day at Social Security to have my social security deposited to another checking account at a different bank since I was not able to access my account to pay my bills. The banker did reach out to me this morning advising me that my account was no longer frozen. I have no complaints about the branch’s banker. He was doing his best to help me but both Citibank’s internal and external customer service are non responsive and need vast improvement. I have been a customer of Citibank for over thirty years but I no longer have confidence in Citibank. I have been a loyal customer of citi mastercard since 1996. My account was deactivated without my consent. I called the 800 number 800-950-5114 suggested to me via your chat service. I was received by an indian speaking individual, who instead of helping me, insulted me and suggested that I take my business elsewhere. I asked him to help me reactivate my account. Instead of helping me fulfill a simple request, he blew me off insulted me and treated me like dirt. He said it was my fault and started blaming me for my card's inactivation. I told him the customer is always right, he told me NO and all but suggested that you guys at Citi dont want my business and to take my business elsewhere, then hung up on me. Perhaps you should review the conversation and fire whoever it was I talked to because instead of receiving help to fix a screwup by you guys that had nothing to do with me, he insulted me. You dont want my business? Fine, I and my family will never use another Citi service. Customer rep id#TTTR04 was so rude iword cannot explain. Call to find out about my IRa she was very rude and of no help . Then she just hang up.. Need to do something about this rude rep.
On June,29th 2018 I made a purchase online with my Citi bank credit card of $4200 from Mobe Educational Program. Because I needed a total of $9200 for the items/services I purchase the additional a mount with my Chase and Santander bank credit. I then called Citibank,Chase bank and Santenderbank and explain to them my sistuation and filed a dispute claim.Chase bank and Santender bank went a head and filed a dispute on my behalf and since then they have been updating me see the attached letters from them.. I never heard from citibank until when i called them and i was told they could not go a head with the dispute claim because i did not have enough information i ask them what information they needed and the lady i spoke to from Dispute department (Josephine) told me that if i can send them an invoice then they can go ahead and file the dispute..i then sent the invoice to the email address she gave me billingdisputes@citi.com and called after two days and they confirm to me they got the information and that they will get back to me. On friday i receive a letter from Citibank telling me they can not go ahead with my dispute because i do not have enough information.And they told me to solve this with the merchant.I am so dissapointed why citibank dispute department is not willing to help me with the dispute to recover back this money and making it very difficult to me..How do they want me to contact the merchant myself and i can not reach them? Can someone kindly look at my case and help me with the dispute.I never received the items and services i paid for please. I have attach the agreement i had with them on what they were to provide,the invoice and letters from chase bank and santender who file for me a dispute without even any asking for any more information. i believe it is unfair that citibank dispute department was not able to help me with this dispute. Charged 93 dollars for 4 day late payment and paid 26 days early the entire balance at the same time. Not Fair. Ordering another card. Have my card on autopay to cover any gaps while I transfer. Manager I talked to was RUDE*10. Very very Unamerican in attitude,talking accent,courtesy,rude. knowledgable a person is.American type courtesy,smile,respect is important. I have stopped going to this bank and might close all my accounts. Member for 35 years, Do to an error on my last purchase, my charge was to be $97.00 but was charged twice. I did not get a statement from you yet because I caught the error within minutes of the transaction. I called you and explained the aforementioned. Was told I would be charged only $97 and had to destroy my current card. It would be replaced in 24-28 hours. Now in my 4th day and need card. help. Citibank sent a letter and I had questions about the letter. I called the number on the letter and Julien the customer service rep didn't know what to do. He told me that I was to be transferred to the business decision. I asked him what the telephone number was to the department. He did not know and gave me the wrong number. He transferred me to Mary Rep #1661727 who told me she didnt' know anything since she only does 1 stop new applications for citibank. Therefore, I spent over 1 hour on the phone and no one knows what is going on. What kind of people are working there and why are they not trained properly. Very disappointed in Citibank. Use to be a very good bank but it is slowly deteriorating. Citibank records show that I am on "paperless statement" program for 1 of my multiple credit card accounts. I never did this and they refuse to remove the service late fee and interest due to a missed payment. For a charge of less than $10.00 they will not admit that this was their mistake. There was never a email verification acceptance to/from response indicating my agreement to the change of billing status and their clerks and supervisors were nasty officious robotic automotons on the telephone when presented with my billing problem. I had BECU do a balance transfer on Feb 1, 2018, to pay off my account with Citi, Citi Bank has not received the check and I keep calling to inquire of payment and no one can give me an answer and after spending over 20 minutes and 3 representative today Feb 16, 2018 I am fed up with Citi Bank my promotion ends March 1 2018 with Citi Bank and so time is of the essence!! I have never ever had a problem with Discover, BECU, but for some reason Citi Bank denies getting the banks payment and now next week BECU has to cancel the check and send another one and one representative gave me a different address as Citi Bank has changed addresses from Ohio to Kentucky!!. I am so frustrated with Citi Bank that not only are they saying we do not have a payment to pay off the balance, BECU has to help out and cancel a check and now send to another address. Something is seriously wrong and when this is resolved I will never use Citi Bank Card ever again!! and will be telling everyone about my experience and how Citi Bank loses checks and you cannot get help they keep transferring calls with no answers!! Since Febuary I have tried about 100 times to have a credit ban lifted from my credtit card All it was a disagreement with my local council I have since payed the disputed amount in full the matter was finalized on the 7/02 1917and have emailed all the necessary doceuments you on at least 6 occasions after discussions about a month ago with one of your so called helpful people who actually found and read my last email with all Veda and CHL Lawyerys correspondence but once again your response to me for the 100th time was negative asking to post the Veda correspondence to you people , I find this insulting as Above I have sent it to you so many times,Can I please have some positive and intelligent correspondence so I can Exit your so unexplaniable and absolutely disgracely banking system for ever. One of the my perceived attraction of banking with Citi is its stated Global presence as spelled out in Citi's mission statement. Recently in late October and early November this year, I traveled to Hong Kong and nearby Guangzhou, China, thinking with my US Citibank account, effecting currency exchanges would be easy and effortless. My experience with Citibank in Hong Kong was abysmal. This experience led me to believe I might have done better as a consumer in the Crusades era if I were dealing with the Knight Templars instead. Before I left US, I called the Citi help-line and was referred to and reassured by a financial agent I could obtain local currencies i.e. HK dollars and Chinese RMB without problem. I should have detected the tentative tone over telephone. Obtaining HK dollars through HK ATMs were no problem. Anything else becomes one! When I went to obtain a few Chinese RMB before leaving Hong Kong to Guangzhou, China, the invconveniences and disconnects showed. The Hong Kong TsimShaShui Citibank agent reassured me I could obtain RMB through the ATM as an option as well as HK dollars. He was wrong. I did not pursue at that moment at that branch because it was late in the evening. The Hong Kong Central District Citibank ATM clearly led me to believe this could be done, as the placard on top of the ATM machine stated (see attached picture). That was a lie. When I inquired politely with an agent as to whether I could obtain Chinese RMB, I was told, in mild but evidently a " don't bother us " way, HK Citibank could not see my US Citibank account. I would be on my own. The insinuation was clear, Citibank HK would not help. I could call US Citibank helpline since I held a US Citibank account. I ended up doing so after a 30 minute wait. The US Citibank financial agent over the phone was not able to help. I did not have the time on that day to spend another hour at HK Central District Citibank to resolve the issue. When I returned another day (the third time with HK Citibank, the second time with Central District branch) to pursue this same issue, ' getting a small amount of Chinese RMB ' before I traveled to Guangzhou China, I was made to wait a full 45 minutes before being sent to the help counter. The counter agent was pleasant enough and gladly exchange my HK dollars for Chinese RMB for a fee. This whole experience did not alleviate my ultimate question to Citibank, " Why do I have to first exchange my US dollars to HK dollars then wait and exchange again to Chinese RMB? Each exchange being assessed a fee!! You are my Global banker and Citibank is holding my US dollars in my US account. " It seemed to me, as stated earlier, I would have done better with The Knight Templars in the Crusades era than Citibank with international banking. Please explain what kind of Global mission are you on? Very disappointed. One of the citibank agent offered us credit card last Oct last yr together with my workmates. That agent told us that there' s no annual fee or any hidden charges applied in that card . But now upon checking my online banking there is a 2000php membership fee same meaning (annual fee) appeared in my card. And upon confirmation with customer service every year or annually my card is entitled with that said fee.And as per customer service they cant help me in waiving this amount I was just so disappointed with the sales agent for miss information. Some of them wanted to meet their quota even they give client wrong info. And now Im planning to formally cut my citibank card and never trust their agent again. i signed up for the citiprioritry checking account march 5 1917 which stated a $500 bonus after sending them $50,000.00 for 90 days. i had to apply by phone because i had a po box.in july 1917 i asked them where my bonus was and they said because i hadn't signed up for paperless statements no bonus.the person who enrolled me over the phone never informed me of this requirement. why wouldn't i not have signed up for paperless statements since it takes about 2 seconds. 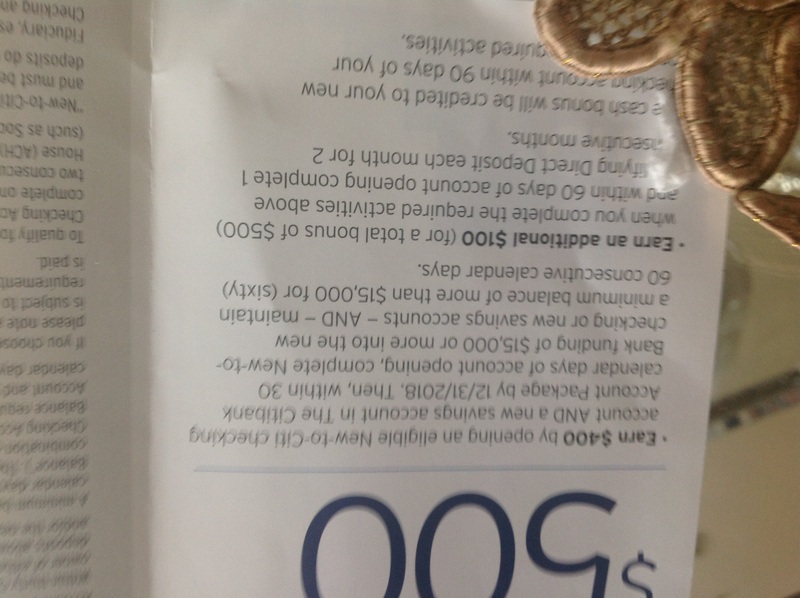 i told a friend in long beach ca about this offer about the $500 bonus and she signed up in a citi branch. when i asked her if she received the bonus she said it was denied because of not signing up for paperless statements. there is a site on the internet where people who signed up for this bonus were also denied because of not signing up for paperless statements. This is the 2nd time citibank had closed all of my retail cards because inquires even though you approve the cards with them, I already checked and I was told retail cards can't be reopened, they said to be apply for another inquires, the inquires are not new accounts they are existing company's reviewing my file, I am so tired of Citibank I thought to give you all another try and I did now I am fighting back, even though you can close for any reasons let's be fair, a fantastic payment history should count for something and the length of time, you take my money and throw me out you should be ashamed of your greedy self's. Today, November 15, 2016 I visited Citibank branch FC#238, located on 3351 Tweedy Blvd., South Gate 90280, CA and waited over an hour to pay my house mortgage and card payment. There were two tellers and later was cut down to just one. The line was very long inside the bank, and at plain view, there were only two staff members, the window teller and another person helping customers with loan applications, and there too, there were several customers sitting down waiting to be help by that one person. It was ridiculous. Everyone waiting in line and customers sitting were furious, and of course the manager, Michelle Quevedo, was out, so we couldn't voice our complaint and frustration. But I promise myself that I would place my complaint because this is an injustice to all those customers that waited in line. I had been thinking of changing my money from Chase Bank to Citibank, but after this experience I'm going to keep it at Chase. One more thing, I have also noticed that most banks that are located in Latino areas, they do not care about their customers. Those banks (which now includes Citibank), could care less about their Latinos customers. The reason I say this is because I have been in other banks that are not located in Latino areas, and noticed that there are plenty of tellers to help out the non-Latino customers. 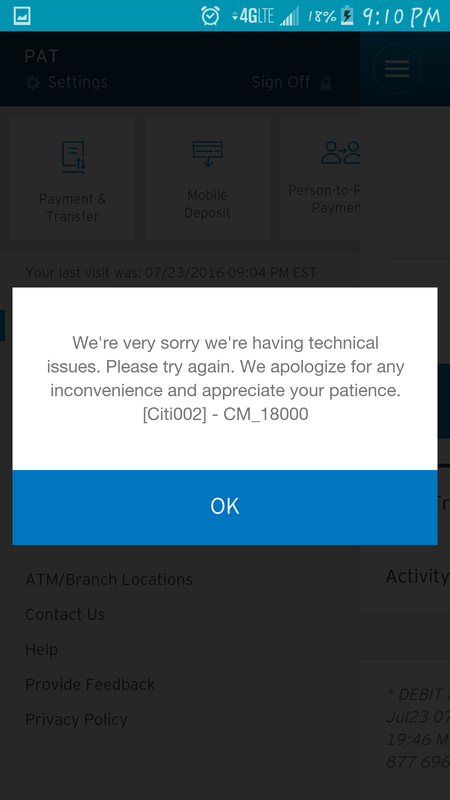 I sincerely hope that this message reaches someone in Citibank that seriously looks into this problem. Latinos work hard for their money which they deposit in banks like Citibank. We are not there to take money from Citibank, we are there to put money into Citibank. Money which Citibank uses it to make profit(s). So I do not understand why we are being treated with such lack of respect. I'm retired and I called Citibank customer relations for my pension early and lost half of it but that's not my complaint. I'm scheduled to receive my direct deposit on the 1st of each month but if the 1st falls on Sat or Sun I don't receive my deposit until that Monday and as late as 9am. All other banks will deposit the day before the 1st. They can deposit on the 1st because they did it once and never again why do I have to wait 2 days. How can I contact Citi head office to file a formal complaint? I am a citibank gold customer for many years now and I've been treated very unfair with incompetent people that work there. I applied for a home equity line of credit back in June that is 4 and half months ago and I'm still waiting for the closing date which no one can give me because the personal banker Kira Yakubov, the bank manager Jay the processor Monica who they finally got rid of her because she had no clue what was going on with banking. The under writer also Jody the new processor. Not one of them seems to be able to get things done. My credit score is over 800 I have no judgements against me. I have no out standing bills and no mortgage and they are having a hard time increasing my home equity line of credit. My income is excellent and I did produce all of my paper work they wanted the first day I applied for this. I keep on getting the run around and they keep on blaming each other for all this. I will never recommend Citibank to anyone and as soon as I find a better bank that is professional and competent I will be doing my banking somewhere else. I have been waiting for my $263.64 refund check from Macy over a month now. I had called Macy 4 times (9/2, 9/10, 9/18, 9/22 and 9/27) and email Macy customer service online once (No response). I had a negative balance of $347.60 in June 2016, Macy stated that the check was sent to me but I did not receive the check. I was told by the account specialist that it is being investigated? "Citibank has not yet respond to Macy and the time frame of the investigation takes about a month". There is no one from Macy can respond to when the check will mail it to me. Do you say this is customer service? I am very frustrated of the Citibank customer service online and Macy's handling this case. Absolute incompetence from Citibank. Here is my e-mail chain with these idiots, do not bank here they are reckless with your money and liars. Still haven't received my refund. So even though I only asked for info on how to close the account...you have gone ahead and just done it with no info and then claim it is at my request because obviously you cannot read. And even worse I still have no information about getting my deposit back. Either wire the money today or re-open the account. I will be filing a complaint with the FTC. Your correspondence system is a symbol of incompetence. What a joke. I demand a call an apology today with a full explanation of this travesty of customer service. Dear Customer, We regret your decision to cancel your account. However, we do understand that certain choices have to be made in order to maintain a positive financial portfolio. We have closed your account at your request. If you would like to consider reopening your account, please contact Customer Service. Our Customer Service number is 1-800-950-5114. If you are outside the U.S., you may call us by dialing the operator from a land line telephone and requesting to place a collect call to the United States at 1-605-335-2222. Our telecommunication number for our hearing impaired customers is 1-800-325-2865. We sincerely thank you for your past business and we hope to continue doing business with you in the future. Unfortunately, since your account is a Secured Credit card, we are unable to process a credit line increase or raise the limit set on your account. The credit line for your account is based on the amount of money you provided for the Certificate of Deposit when the account was opened and therefore can not be changed. Please know that we will continue to improve our service to you and we hope that you will continue to make Citi your choice for quality and value. Dear Valued Customer, Thank you for your interest in obtaining an increase in your credit limit on your Citi Classic account. We are unable to process your request through our Secure Message System. Please sign on and resubmit your request within Citi Online or contact Customer Service. You can call our Customer Service Center at 1-800-950-5114.If you are outside the United States, please call us collect at 1-605-335-2222. Our telecommunication number for our hearing impaired customers is CS TDD 1-800-325-2865. If there is any way we can be of further assistance, please feel free to contact us. I have managed my account by paying my balance in full every month. At this point I still have a secured card but could switch to Capital One and have a non-secured card. I either need you to increase my credit line above that that is secured so I can start building a stronger relationship with your bank, which I really want to do, or I will need information on how to close my account and get my deposit back. I do not like the fact that a computer, not a human makes these choices. I am not feeling valued as a customer. Citibank`s customer service reps. go from incompetent to horrible. I returned from a work trip to find a letter from an old Citibank checking account that my account was made inactive. I called Citibank customer service and was told to send in a letter asking for my account to be reopened, no mention of the fact that it needed to be notarized. I called 10 laters to check on the status of the account and request it be closed. The account rep. told me no problem, the account was active and I would receive a check in about 8 days. I never received a check and 3 weeks later called customer service again to find out that not only had a check not been sent that the account was not active and I had to send in a notarized letter to reactive the account. Now, I`m overseas and this is incredibly difficult to send. Now the customer service manager is not helpful at all and offers no explanation or way to resolve the situation. I spoke to 2 people neither of which understood or explained the situation correctly. This is a bank policy not a law which could have been adjusted once my identity was verified. I have never had a Citibank card and I never want one. It was opened 2008 and I just found out in 2016 it's been taking money out my account. This account in a name i never had, and I told collection agency it was a fraud account. They have my s.s. number and said it me. Send me paper my name on it. This account not on two credit reports. I see if on my last one and I will have it taken off. Put another fraud alert on my credit reports. I have no idea how they got it. This account was opened in different state. I am upset and I hate any company make people pay. I have been trying off and on for the last few months to utilize the mobile deposit. Every time I try after logging in I selected the mobile deposit app and a technical error message appears. Hear is the thing, I called the bank on Friday and went through there long process. I was told it was probably my phone - Galaxy 3. So I agreed to try a I phone. Well I did and that didn't work either. So I did call back on Sunday yes I went through the process again and this time a ticket was open. Now, I in the mist of making a purchase and would love to utilize my account for receipt purposes. Unfortunately in the city I live in doesn't have a branch or ATM for depositing checks. But I was told he didn't know when it was going to be fixed...2 days or 2 months or even never due to IT Department will need to investigate. After this conversation, I know this is crazy why do 't they just open another account for me and see if this will work. No, I'm being told to wait and make a deposit by mail. Oh yea, every time I call I have to go over the same thing from the beginning instead of people reading what should be in my file. I just hung up with a "Supervisor" he advised the rep that took my complaint on Sunday will need to call me back. Hmmm, why I thought IT Department was dealing with this issue and again any and all updates should have been recorded in my file. Citibank really needs to look at the practices on the back in. Very very poor customer service. Was charged $25.73 late fee for a payment due on July 3 and I paid on July 1. Tried to get fee waived but was only put on the phone merry go round with calls to the Philippines who did not understand the English language. Fee is not important but the manner of their extremely poor customer service is a problem. I have been an outstanding customer and always pay the total amount monthly to avoid charges (maybe why they are acting ignorant). Don't really care because I have other accounts with Citi which I will be closing out. Wish I could give zero stars or negative stars! Beware of this unethical and shyster business. Don't apply for Citi Credit Cards. I have 2, but paying them off and getting rid of them. They have very bad customer service. I got a penalty APR (29.99%) on a bill and called them on it. They said the payment was 12:07am 7 minutes late EST (I paid it at 9pm PST). They waived the $38 dollar fee and removed the penalty APR, back to my 8.24%. Then a couple months later, I got a bill with the 29.99% APR penalty again, for no reason. When I called, they said it was due to the original late fee 4 months ago. I asked why they would do that, they said it is not their fault I was late and they go by Eastern Standard Time. I told them this is really bad customer service. They again told me, it was not their fault that I was late and that they go by Eastern Standard Time. I was also told that the penalty APR goes away after 6months of payments on time. I have never been not on time, except the time I paid at 9pm Pacific Standard Time. So they lost a customer for a penalty APR of 29.99% that would only last for 2 months, since it was 4months ago they removed and now decide to change it back to the penalty.? Crazy. especially since I was never late before or after and a card member for over a decade. This is my 2nd complaint letter. 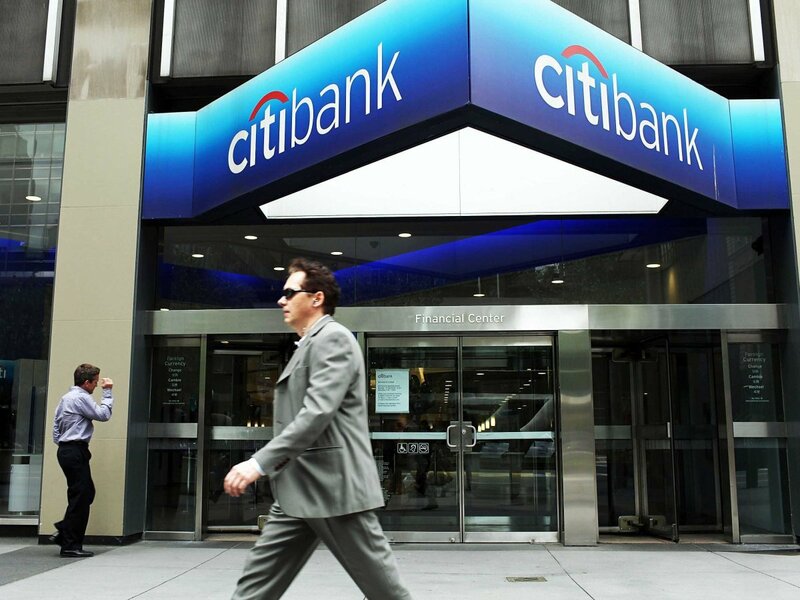 Does anyone cares about your client at Citibank? Hello. My name is Lan Phan. We have recently signed up with Citibank Admirals Club card and we have been trying to talk to manager or supervisor for the past 2 weeks now and have not been able to speak to anyone yet! The problem that we are having is that we have added a few family members in a short amount of time and have had a lot of activities on our card and the Fraud Department wanted us to fax to Citibank the following three items: 1 - Driver License / 2- Utility bill / 3- Pay stub and we did as per. your company request and we faxed it to the following number (866) 532 - 5470 on April 19, 2016 and was told that it would take 72 hrs for things to get cleared up and so we waited and after 72 hrs. we contacted Citibank and was told that you didn't received our fax!!! We then requested to speak to a manager but was told that there is no manager available so we asked how we can resolve this matter and was told that we needed to refax the information over to the same fax that was mentioned early. We have refaxed everything that you have requested for the 2nd time now and have spent $12.00 dollars in faxing to you and we followed up with you on May 03, 2016 and was told again that you have not received anything from us! We then asked to speak with a manager and was told again that there is no manager available at this time! The other problem that we are having with your company is that you folks want a phone number for me that you can verify that it is my account but I only have a cell phone and the account is under my husband name which is a common thing now a days and you should know that no one really has an account on their own anymore now a days! I am VERY DISAPPOINTED of they level of service that has been provided to us and as you can see that we have paid our account off in full in the short amount of time that we have been with you and we would like to continue to be with Only so we can use the American Airlines Admirals Club. Please contact us ASAP so we can resolve this matter and move forward and also we need our Credit Card to be activated again ASAP. We need to know that since we have lost 2 weeks in trying to resolve this matter how would be be able to spend the $5,000.00 dollars in the first 3 month to receive the 50,000 American Airline Advantage points. How do we get the information to you directly so you can resolve this matter? Once again we have faxed to you all ready twice and you are still telling us that you didn't received anything from us, we have fax confirmation that our fax was sent to you and that the fax was completed with no problems. We have recently signed up with Citibank Admirals Club card and we have been trying to talk to manager or supervisor for the past 2 weeks now and have not been able to speak to anyone yet. The problem that we are having is that we have added a few family members in a short amount of time and have had a lot of activities on our card and the Fraud Department wanted us to fax to Citibank the following three items: 1 - Driver License / 2- Utility bill / 3- Pay stub and we did as per. your company request and we faxed it to the following number (866) 532 - 5470 on April 19, 2016 and was told that it would take 72 hrs for things to get cleared up and so we waited and after 72 hrs. we contacted Citibank and was told that you didn't received our fax!!! The other problem that we are having with your company is that you folks want a phone number for me that you can verify that it is my account but I only have a cell phone and the account is under my husband name which is a common thing nowadays and you should know that no one really has an account on their own anymore. I am VERY DISAPPOINTED of they level of service that has been provided to us and as you can see that we have paid our account off in full in the short amount of time that we have been with you and we would like to continue to be with Only so we can use the American Airlines Admirals Club. How do we get the information to you directly so you can resolve this matter? Once again we have faxed to you all ready twice and you are still telling us that you didn't received anything from us, we have fax confirmation that our fax was sent to you and that the fax was completed with no problems. I am a Citibank customer. On 03/25/2016 I came to a Citibank at 787 7th Ave, New York, NY 10019. I made a line to be served by a pesonal banker. A banker got off an office & asked, Who is next? I answered, I am. BUT She was taking a person who was behind me & told: I think, He was first. I called a manager, she came & told a banker to serve a person. When I told: I will complain a Citibank headquarters, a manager ignored me to call a security. I ask to investigate this case, after I will fill out a suit against a Citibank because of discrimination case against a white customer by black Citibank employees. Thank for a Citibank discrimination service. First i was a Citibank customer for a least 35 years, I paid all my bills in full. I thought I lost my card. I asked them to cancel it. They did and I received a new card, When i went to activate the card at first they said there was some trouble with your system and to call back the next day. I did. At that time it said i owed 2600.00. I closed that card and they sent another. I decided to close all cards. i started the process to straighten it out buy sending a form back (numerous times) with no response. i tried to speak with many people no results, i was screamed at by your collection dept. stating YOU OWE THAT MONEY! Sadly I did not. I thought that's the thanks i got for being a loyal customer. I did go to collection and paid whatever i had to because i couldn't stand being harassed and the stress any longer. Also hit by hurricane sandy. The only reason I am writing you is because not only did Citibank rob me of my money but as i go to pay my taxes, my tax rep said i had to pay on the money you robbed from me. I am still seeing red! I tell everyone this story and i let them know not to apply for any of your cards ever! November 17, 2015, call to my residence - requested 2 payments totaling $823. Replied in the negative to caller. Difficulty understanding caller because of heavy, accented English. November 23, 2015, withdrawal of $823 made to my Simmons Bank account. Withdrawal resulted in $1500-1800 overdraft charges at Simmons Bank and legal notification of checks failing to pay. December 7, 2015 repeated calls to Citibank Card Customer Services results in contact with an officer manager who refunds $823 to bank account. The Citibank Card Customer Service refunds interest payments on Citi account to personal bank account $600. The Citibank Credit Card has 2 payments overdue and I have no money in my bank account on December 25, 2015. My retirement checks have gone to repay overdraft, mortgage and utilities. This problem has not been resolved! My Citibank Credit Card is past due, I am receiving five to six calls daily asking when I will be able to pay. I have not recovered from this fiasco because of my fixed income. Until this incident wiped out my good credit standing, and my good payment standing with Citibank Credit Card; I paid my bills in a timely manner and did not fall behind. As a personal insight, I am a disabled, retired teacher on a fixed income. I cannot at this juncture see my way to regaining my good standing with my bank, my credit card (s) or my credit standing which was 815 before this incident with Citibank. On my last statement for my Citibank credit card, I purchased a hard drive from Best Buy, for 127.18. I returned the drive the next day, and was given a slip showing that my account was credited. When I asked if they needed my credit card to remove order, I was told their would be no need for that, Only when I received my billing statement. for payment it showed $105.99. When I called Citibank customer service phone number and asked what was going I was told that what BEST BUY took off my credit card bill...? I'm NOW being charged with late fees over and over every month for this problem. I think Citibank does want to make this right. I call Citi on 02/13/2016 trying to get it taken care of, I used one of Citi corporate call centers (1-800-388-2200) the rep person I spoke with tried to explain to me why I was right, by saying that Citi has nothing to do with how my of my money was taken from my credit card. That it was up to me to get the full amount from (Best Buy) because they can do that? I wanted to know what kind of people are under Citi supervision? I also feel that the card was canceled out and reopened because several times the card (41280037084304) should have (16) numbers. No one wants to admit they made a mistake. I am very disappointed with the services rendered me from (citi). I just want my account made right. Let me state one more thing I have been taken for granted, I was dealing with this problem sense November 2015 I think it's time to clear it up.? I need someone to check billing on my account it's not right. 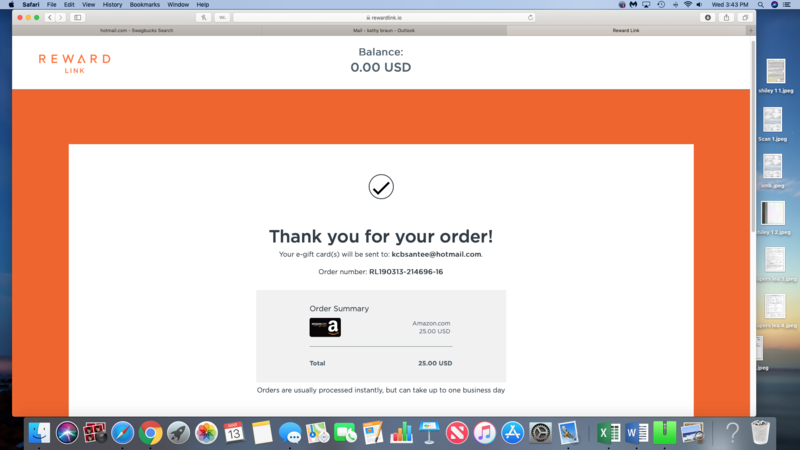 On 27 Jan 16 I received an Email notice that my MasterCard mailing address was changed. As I did not change my address I called 1-800-669-8488 on 27 Jan 16. It took 20 minutes to convince your agent of my identity & that I did not make or authorize the address change. There records show that someone had made it through your automated system 3 times. The first time was to check the account balance. The second call was to change the mailing address, password and order an account statement. The 3rd call was to order a new credit card. I was informed that my card was deactivated and that my address was corrected back to the original address and no statement or card would be sent to the “new” false address. On 9 Feb I spoke with an agent who informed me that my address was still shown as the false address and that a new card & statement in my name was mailed to the fake address on 28 Jan 16. On 9 Feb I received a call from the Citi fraud department asking if I had authorized a $2000 charge on my “new” Citi card that was mailed to the fake address. Words cannot express my anger with the Citi “security” failures. Citi failed to protect my card / failed to change my address, mailed my personal info and a credit card to identity thieves. Citi added a bogus address to my credit report that I can’t remove. Citi’s incompetence seems to have no end, and all I was told was “sorry” and my real address was now changed, also I should call the Citi restoration department between 9 A.M – 5 P.M.
First of all on-line messaging and on-line chat are of absolutely no value. I have used those services many times and never once were they able to help me. Now, on 3 separate occasions I have had my Debit card restricted by the Citibank Fraud Department. The fraud I've reported the three time I'm referencing were simple vendor mistakes. They were not FRAUD in my opium, but all 3 times a restriction was placed on my debit card. In the past the restriction were taken off via a phone call to customer service. Well today I was told I had to go to a branch to have the restrictions removed. The closest Citibank branch to me is 60 miles away. This is very inconvenient for me. i opened a merchants tire account in September 2015 for some work done on my wife's car. i made my payments on October 24,2015, November 7, 2015 and December 4,2015. On December 31st i called customer service to confirm whether or not the payment made on December 4th was applied towards the January bill as it was intended to be. After a careful and review of my account by the representative, I was told that the payment in fact would be applied towards the January 2, 2016 bill and that no other action is required by me. However, a few days after the January due date i received a message asking me to call about my account. Upon speaking with another representative i was told that the January payment was past due and a late fee had been applied to my account and that payment was demanded. i informed the rep. of what the previous representative told me on the 31st of December but i was told that was incorrect and that i still needed to make the January payment. i spoke with another representative and was told that the late fee would be removed but would still be applied towards my balance and that i still needed to make the January payment. I informed them all again that the payment had been made and that i should not be liable for late fees due to incorrect information being told to me by the first representative i spoke with on December 31st. I have been getting messages and calls demanding the payment. can you please help me resolve this matter. My wife and I bought a range in October of 2014 from the Salem NH store. (It was the most recent of many appliance purchases.) The salesperson helped us schedule payments so that the final payment would be made before the 12 month 0% interest promotional rate expired. When the final payment was made, we were unaware that there was a $25 remaining balance remaining. We were then assessed a $150 interest charge by Citibank. I've been on the phone twice with Citibank. I was told that they can't refund the $150 charge. I've also been on the phone with Best Buy Corporate. Twice also. Eventually I was told to call the manager of the store since it was their salesperson that make a mistake. I tried to call this morning. I was on hold 30 minutes, then got a dial tone. Is there only one phone line into the store? It appears so. I'm not going to give up. Can you offer any help? Thanks. Deposited a check on 10-22 and noticed it never showed up on my Oct. statement. Went to Hickey Branch in Daly City and asked the teller why I didn't see a credit to my account on 11-10. He asked his branch mgr. and was told to tell me that it was on hold and that the check is okay and will show up on my Nov. statement. Came the Nov. statement and it still didn't show up. I even called cust. svce. and they see it as a check that was credited to my account but I told them it never was credited cuz I didn't see it on my Nov. statement. They wrote me a letter with the copy of the check and said it has been deposited. Called on 12-9 and Ashley from Citibank customer service and she said the check was not good and there was insufficient funds. I was livid because I knew the payor was an insurance co. and they wouldn't write me a bad check. Why would they do that, it would be bad reputation for their business. I thought back and told her the mgr. didn't give me much attention on 11-10 because he was concerned about a customer who was angry out in the lobby about the long line. Ashley said all he had to do was to check the screen more carefully and he would've saw the check was okay. Finally called again and got Laci from Kentucky from the help desk and she said the check was good and Ashley was misguided in telling me it was a bounced check. I don't think I should have to go through 6 wks. of aggravation when the mgr. at Daly City, Hickey branch could've done his due diligence to ascertain that my check good and should've credited it to my account. I was livid because I was about to called the payor, insurance company, and yell at them for writing me a bad check since Ashley said it was a bad check. How would that make me look! Waste of my time and undue aggravation. I don't want to go back to that Citibank branch again. I have power of attorney over my fathers account. have sent copies since Sept to the Citibank customer service department. As of today I have been unable to confirm whether or not these documents have been rec'd and processed. I have left several messages to the claims line to the phone numbers 718-824-6283, 718 409 2486, and 718 824 7341 and no one has returned my calls. We understand that CITI BANK not want to take responsibility for the mistake made when sent us 160 checks with wrong account number. We will bear material mistakes made by Citi bank but just want to say we feel ashamed that we were customers for 31 years of this crook bank with out any responsibility. We did call few times but CITI Bank ignores our request for an excuse latter we can mail it to our debtors. I have taken dial for cash for the amount of RM3900. During the phone conversation rate offered was 5.8% per annum and I agreed for a duration of one year. However, The statement I received is for 3 years at 10.9% p.a. I feel angry and cheated. The person who contacted me was by the name of Tracey. Citibank should fire her for cheating me. I have made an online fund transfer of AUD 4,000 on 04-Aug-2015 and another transfer of AUD 5,000 on 06-Aug from my SYDNEY Citibank to my daughter's ANZ bank SYDNEY account. At time of writing, my daughter has not receive any funds Note: I made similar online transfer of AUD250 to a China Merchant Bank in Chengdu on 04-Aug and the fund ws received on 05-Aug. I have spoken with Citibank customer support and they are useless. Citibank admitted to Double Dipping my bank account but would not reimburse me the Overdraft fees but did give back the double dipped amounts. I had a $1200 limit and was paying More than the Minimums due to keep Interest Down and pay off the balances Early. I paid it off once, Had 3 late payments due to I was moving at the times they were late and could not get to a computer on time. But they did it to me 6 times. Just as the No Interest were about up, they held taking money out of my accounts until 10 days later making the payments Late. Thus they could now add the Back Interest and jack up the % to the %25 (24.99). I have a Great Track Record of paying my bills On Time, paying them Off Early and Paying More then the Minimums. Had a Credit Score of 750 and is now 345 because of all of this BS with CitiBank. I Look at it like this... CitiBank Wrote it Off, Got there money back from the tax write off and were done dealing with it. Along comes this Debt Collector and Buys Citibanks Garbage. Now the Collector is trying to sell this to me and is mad I'm not buying it and Denying I owe them anything. They Bought it knowing Full Well it was Garbage and a Gamble to try and make any money on it in the first place. I just hope and Pray that the Judge will see it this way also. And if my Debt to Citibank was So High and Not Paid Off...Why then did they Issue me another Credit Card?Now it's My word against theirs. Gee I wonder who will win? Citi bank has my wrong date of birth when I phone them and cant get information on my account. I live in Australia and they hang up on me on a regular basis. I get put through to a foreign country for help but they get confused, which leads to them hanging up on my complaint because it must be to difficult to deal with. I just wont an Australian to fix my date of birth problem. this has been going on for years. my account is in arrears and they are defaulting it because of this phone problem im having. I called Citi Premiermiles Customer Service phone line after receiving an sms text message stating that I have an outstanding credit card balance of RM18.89 due by today (30-Apr). Firstly, I did not receive the statement and wasn't aware of this outstanding balance until receipt of the sms text. As I do not track all my credit card statements from different banks, I pay on sighting the statements. Once in a while, even with other banks the statements fail to arrive, and when that happens and payment is missed, all it takes is a phone call and the issue is handled satisfactorily. I fail to understand why CITIBANK'S policy is so rigid and unfriendly that it must insist on freezing my credit card over RM18.89, despite my untarnished payment track record and my repeated request to your customer service personnel to put forth a request to allow me to pay by Tuesday as I am away and no where near Citibank to make this payment. If over such an insignificant amount Citibank sees the need to freeze the use of a member's card which has continues spending with no outstanding balance and more often than not a record of credit balance in the payment, it is no wonder you are not a sought after card amongst your competitors and your sales representatives have to plead to mall shoppers (like myself) to please give the card and the bank a try and test out the service. I am disappointed that you see it fit to treat your card member so carelessly. It is really your bank's lose if you fail to see the implication of your action and persist that your policy is defensible. I urge you to listen to the phone recording between myself and your personnel to hear for yourself how irritating your personnel's conversation is. I just received a collection call from your online services. It stated I owed $71. That is outrageous to receive a collection call two times at my office when I worked out the total amount due with one of your customer representatives. I put a payment in through online that same day to be posted on May 1, 2015 before the amount is due. Everything is clearly set up online and can be seen, but the collection call was made anyway?!!! I called your customer service and when he agreed that everything looked fine, he could not answer why I got the call and said he would send me to the collection department (goose chase) and could not tell me why I was being contacted. He did not even express any regret on behalf of the company as a result of the clear violation of federal law. How can your company call me to address an amount due that is not due? When I tried to get a supervisor, I was left on hold and the operator continued to tell me I had to hold until I could not hold any longer as I am at work and do not have time to sit on the phone. I am sending you this complaint and hope to hear back from you as to how you can harass good clients without justification. Agreement was made on 19th Jan 2015 and Citi consultant assured that the amount will be credited on the same day. I have informed them that this is urgent for me for my marriage shopping. I am following up with the consultant and her manager for past 2 days, but the only response is it will be done soon. Today, they are not even answering the call. This is very urgent for me and I need the amount to be credited today itself.